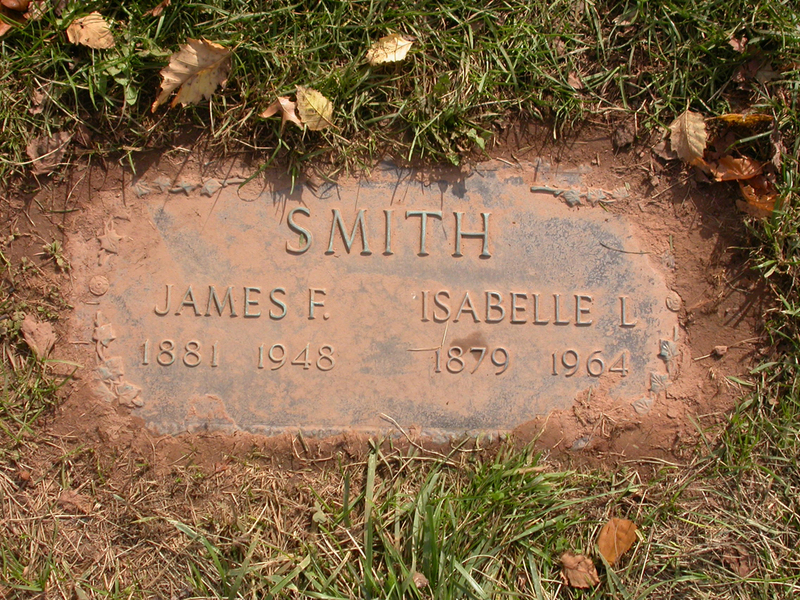 According to Leah Smith Hochstaedt, this is the grave of her grandparents, James Findlay Smith and Isabelle L. Chapman. They are the parents of Wilbur Klaiber's wife, Isabelle Smith. I accidently discovered this grave right next to Wilbur. I did not know who James and Isabelle were at the time. Wilbur and Isabelle had two sons, William and Richard. When Richard died in 2000, he was buried in an unmarked paupers grave in Riverside Cemetery in Toms River. In 2004, Richard's brother William died, but he was interred in a mausoleum at Saint Joseph's Cemetery, also in Toms River. When their mother, Isabelle, died in 2007, she was buried near Richard in another unmarked paupers grave in Riverside, instead of with her husband Wilbur (and parents) at Rosedale.